I was making some pretty impressive progress on Amy’s quilt. It was easy to sit and stitch while being inspired by the athletes competing in the Olympics. The trouble was, I was a little distracted. 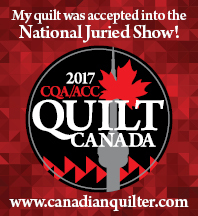 Every time I completed another few lines of the background quilting in the outer border, I said to myself….”Something looks a little off.” But, then I would look up at the TV and see that someone had just won a race, or a medal! And then I just kept on stitching! Well! More than just a few hours (and lines) later, I noticed that I had marked some of the lines 1 1/4″ apart and some 1 3/4″ apart. Always one to look for the silver lining, I used this as an opportunity to test the Frixion marker I had used to mark the lines. I must say I was bedazzled!! (See below.) The lines instantly disappeared…not a trace of any of the marking were left! be·daz·zle (b -d z l). tr.v. be·daz·zled, be·daz·zling, be·daz·zles. 1. To dazzle so completely as to make blind. 2. To please irresistibly; enchant. I am so excited to have finished the first block of The Civil War Bride Quilt! I thought the pieces in the top right and left corners were leaves, so I made them green. After going on the Civil War Bride Quilt blog, I see that maybe they are supposed to be birds! (How did I not see that!?!) Anyway…leaves they will stay! Every time I put Amy’s quilt down and leave the room, the cat decides it is nap time. I keep a lint brush handy at all times! I am making pretty steady progress on Amy’s quilt. I have one side border completely done. I have turned a corner and now on to the second side. The next block of Sue Garman’s “Friends of Baltimore” looks pretty challenging! (See below.) The fabric is pre-washed and I am ready to get started! Calling for full use of one’s abilities or resources in a difficult but stimulating effort: a challenging course of study; a challenging role for an inexperienced performer. In between working on my Roseville blocks (and a few other quilts in progress), I am hand-quilting Amy and Bruce’s wedding quilt. They will be getting married on September 1 (of this year!) so I better get stitching! I find hand-quilting (like all hand work) very relaxing. I tell myself that I will just sit and quilt for a few minutes, but before I know it, a few hours have slipped by! Of course, having the right tools makes a huge difference. Just remember, what works for one quilter may not work for all quilters! So…take the time to try different brands of needles, thread, scissors and batting. Find those tools that work for you. John James Size 10 Big Eye Quilting needles. They are smooth and very sharp. And the big eye is a bonus for easy threading! A hoop to hold the quilt layers tight. I have always used a hoop to support the quilt while I am stitching the three layers together. I have even quilted a king-sized quilt using a hoop. The secret is to have lots of basting!! Gingher scissors. I treated myself to a pair of Gingher scissors for my last birthday! They curve upward at the end so that I will not snip (another!) hole in a quilt! Various thimbles. “Various” because every time I sit down to quilt, the thimble I used last time just doesn’t feel right! Hand-quilting thread. I like Dual Duty Plus because it is a cotton/polyester blend and it glides through the layers really well. I also like YLI hand-quilting thread. 100% wool quilt batt. I am using “Legacy” 100% wool. Quilting through a wool batt is like quilting through butter. It is an absolute dream to work with! A decent light source. Although there is no substitute for natural sunlight, there may be times when it is not that readily available. I always keep my Ott light handy for times when I need just a bit more light. Time. No matter how busy I am, I can always find time to quilt! !